Doyle Mayfield is an old-guard country star in the Porter Wagoner/George Jones mold, who had a handful of regional hits with his duet partner Debbie, back in the ’70s and ’80s. Thirty years, four wives, and three Debbies later, he finds himself back in Nashville at a Lower Broadway honky-tonk for one final attempt to regain his former “glory.” Doyle has just discovered his new (third) Debbie singing at the VFW Hall in his hometown of Mooney’s Gap in East Tennessee, and immediately saw her as his ticket back to the big-time. 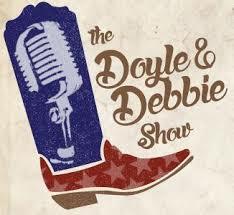 Debbie, a single mother of three, sees Doyle as her last chance to make it to Nashville and make a record, but she is gradually realizing what a terrible mistake she’s made in hitching her star to this loose cannon. Come see Doyle in his comeback performance. BUDDY - male 40-60 years old -Doyle's long suffering, loyal band leader. Ability to play guitar desired, but not required. Come to auditions prepared to sing 16 bars of a song that shows off your country music singing.